Each chapter explores several key debates, summarizes key points, and offers a discussion of the current empirical status. 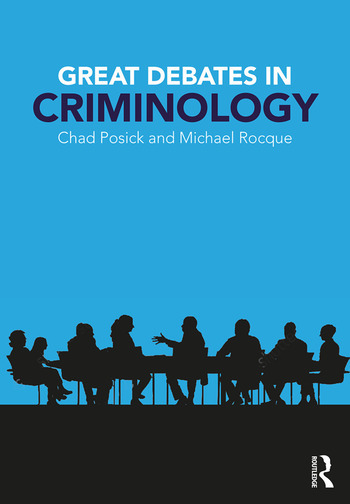 This book is novel in emphasising the role of debate in criminology and offering an enlightening synthesis of theorists and their perspectives. It is essential reading for students taking courses on criminological theory and teachers of those theories. A companion website will include a sample syllabus, PowerPoint lecture slides, examples of assignments, a test bank with sample exams for instructors, video and website links, a glossary of important terms, audio content, and study guides for students. Introduction – What is theory and why are there debates? Chad Posick is Assistant Professor of Criminal Justice and Criminology and Graduate Coordinator at Georgia Southern University. Michael Rocque is Assistant Professor of Sociology at Bates College and Senior Research Advisor at the Maine Department of Corrections.